Dr. Gaughan is a leading authority in the field of valuation and measurement of damages in commercial litigation. In addition, Dr. Gaughan has done extensive analysis of the economics of punitive damages. He is a former vice-president and member of the board of directors of the National Association of Forensic Economists. He is a retired tenured, graduate level, full professor of economics and finance at the College of Business, Fairleigh Dickinson University. Dr. Gaughan is a professor of economics and finance at the University of International Business and Economics (UIBE) in Beijing, China. Dr. Gaughan is the author of Mergers, Acquisitions and Corporate Restructurings, 7th Edition (John Wiley & Sons, 2018), of which the first edition was awarded Book of the Year in accounting by The Association of American Publishers, Maximizing Corporate Value Through Mergers and Acquisitions: A Strategic Growth Guide, (John Wiley & Sons, 2003), Measuring Business Interruption Losses and Other Commercial Damages, 2nd Edition (John Wiley & Sons, 2009), Recent Developments in Litigation Economics, (Elsevier 2005), Mergers: What Can Go Wrong and How to Prevent It, (John Wiley & Sons, 2005), Measuring Commercial Damages, (John Wiley & Sons, 2000), Economic Expert Testimony: A Guide for Judges and Lawyers, (Lawyers & Judges Publishing Co. Inc., 1998), Litigation Economics, (JAI Press, 1994), Mergers & Acquisitions, (Harper Collins, 1991), and Readings In Mergers and Acquisitions, (Basil Blackwell, 1993). He has published numerous scholarly journal articles in publications such as the International Review of Law and Economics, Journal of Forensic Economics, Journal of Legal Economics, Litigation Economics Review, and The Journal of Accounting and Corporate Finance. Dr. Gaughan is a referee for these peer reviewed journals and is the Co-Editor of Litigation Economics Review. Dr. Gaughan is regularly called upon to speak and chair numerous seminars and conferences throughout the United States. Prof. Henry Fuentes, C.P.A., M.B.A., A.B.V, C.F.E. 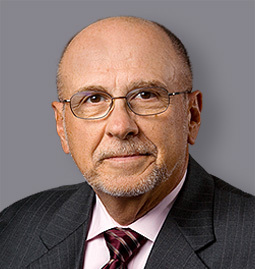 Professor Fuentes is a retired professor of accounting at the College of Business, Fairleigh Dickinson University. He is the former Associate Dean of the College of Business and the former chairman of the accounting department. He has published scholarly articles on the applications of finance and accounting to litigated matters. Professor Fuentes has been voted by the New Jersey Society of CPA`s as the leading accounting educator in the State of New Jersey. He is regularly called upon to teach in-house seminars at accounting firms and continuing legal and accounting education seminars. Professor Fuentes is a Certified Public Accountant, a Certified Fraud Examiner and is Accredited in Business Valuation. Norman R. Swanson was educated at the University of Waterloo and the University of California, San Diego. He is currently Professor in the Economics Department at Rutgers University. He has held previous positions at Pennsylvania State University (1994-1999), Texas A&M University (1999-2001), and Purdue University (2001-2002). His primary research interests include financial and macro econometrics, forecasting, time series analysis, and big data methods and statistics. 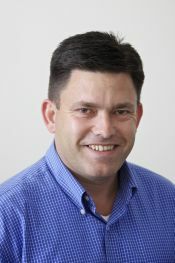 He is a fellow of the Journal of Econometrics, which is the top field journal in econometrics, and he currently serves or has served as editor or associate editor for various scholarly journals including the Journal of Business and Economic Statistics, the European Journal of Pure and Applied Mathematics, and various others. He has also served as guest editor for journals ranging from Journal of Econometrics to Journal of Business and Economic Statistics. He is a member of various professional organizations, including the Econometric Society, the American Statistical Association, the American Economic Association, and the Canadian Economic Association. He has many recent scholarly publications in leading economics and statistics journals including Econometrica, Journal of Econometrics, Review of Economics and Statistics, Journal of Business and Economic Statistics, and the Journal of the American Statistical Association, for example, and is or has acted as ongoing visiting scholar to central banks including The Federal Reserve Bank of Philadelphia and the Bank of Canada; and to various universities. Dr. Luporini is an Associate Professor at the Economics Institute of the Federal University of Rio de Janeiro and is currently a Visiting Scholar at Columbia University. She holds a Ph.D. in Economics from the Graduate School and University Center of the City University of New York and has published mostly in applied macroeconomics. Dr. Luporini has worked as a research consultant for the Brazilian Development Bank (BNDES), the Economic Commission for Latin America and the Caribbean (CEPAL), and for La Red Sudamericana de Economia Aplicada (RedSur). Dr. Trout is a leading authority in the field of business valuations and the application of finance, statistics and economics to matters of litigation. His prior work in litigation economics includes commercial and securities lawsuits, intellectual property and patent litigation, antitrust economics, along with tax cases and the regulation of businesses. He has authored numerous refereed, scholarly journal articles in publications such as the Journal of Forensic Economics, Journal of Legal Economics and Litigation Economics Review. He is the former managing editor of Litigation Economics Review. 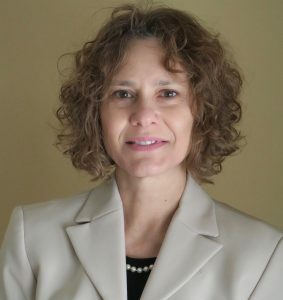 Dr. Trout is a former vice-president and member of the board of directors of the National Association of Forensic Economists. He is also a former professor of finance at the University of California. He has a Ph.D. in financial economics from the Anderson School of Management at U.C.L.A., and is a Chartered Financial Analyst (CFA). 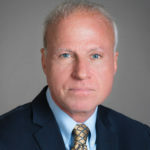 He is currently a Professor of Finance in the Silberman College of Business at Fairleigh Dickinson University (FDU). His expertise is in global financial crises, financial valuation with an emphasis on the valuation of derivatives and strategic decisions with real options and investments analysis. His research appeared in respected academic journals such as The Financial Review, The Journal of Real Estate Finance and Economics, Research in Finance, Global Business and Finance Review, International Research Journal of Finance and Economics, International Research Journal of Applied Finance among many others. He also published in practitioner journals with a very large professional readership such as The Journal of Wealth Management and The Assessment Journal. 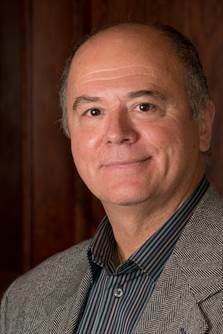 Dr. Tuluca is on the editorial board of a number of journals is his fields of expertise and has been the program chair or the track chair of numerous international conferences. He received several awards for research and teaching and recently awarded the Bartlett Professor of Teaching Innovation title for the 2016-2017 academic year. Dr. Landon-Lane is an Associate Professor in the Department of Economics at Rutgers, The State University of New Jersey. He holds a B. Sc(Hons) and a M.Comm(Hons) from the University of Canterbury, New Zealand and a Ph.D. and Master of Arts in Economics from the University of Minnesota. His research includes work in applied econometric theory, applied macro-econometrics and finance, and economic and financial history. He has published widely in internationally recognized economics and finance journals with his most recent work on the history of the junk bond market in the United States. David S. Hanson has practiced in the field of public accounting for over twenty years. During that period he has obtained a wide variety of accounting and financial experience with clients ranging from large publicly-held consolidated groups with international operations to small closely-held family businesses. In the specialized area of dispute consulting, Mr. Hanson has provided a variety of services including expert witness testimony, intellectual property, real property, forensic accounting, fraud investigations, lost profits and earnings analysis, damage assessment and evaluation, liability analysis and pre-trial assistance. He has experience in a number of disputes including breach of contract, lost profits, construction, business interruption, bankruptcy, environmental, trusts, accounting issues and lost earnings. Mr. Anderson is an affiliated expert at Economatrix Research Associates, Inc. He is a recognized authority on business valuation and commercial damages. He is a graduate of the University of Michigan, where he earned a Master of Public Policy degree and a Bachelor of Arts degree in political science. He is a member of the National Association for Business Economics and the National Association of Forensic Economists. He is the CEO of Anderson Economic Group LLC, a consulting firm in East Lansing, Michigan, Chicago, Illinois and Los Angeles, California. Mr. Anderson has written over 100 published works, including the Economics of Business Valuation from Stanford University Press. Three of his articles, “Pocketbook Issues and the Presidency”, “The Value of Private Businesses in the United States”, and “Policy Uncertainty and Persistent Unemployment” have each been awarded for outstanding writing from the National Association of Business Economics. Ms. Anna Ma is a graduate of New York University. She graduated in 2007 with a double major in economics and Spanish. Prior to NYU, she attended The Bronx High School of Science. Ms. Ma has worked as an economic analyst at Economatrix Research Associates, Inc. since 2007. As part of that work she conducts industry analysis and as well as damages analysis. Ms. Ma was a member of a dragonboat team, a paddling sport that originated in China. In her free time, she enjoys cooking and searching for new culinary adventures.